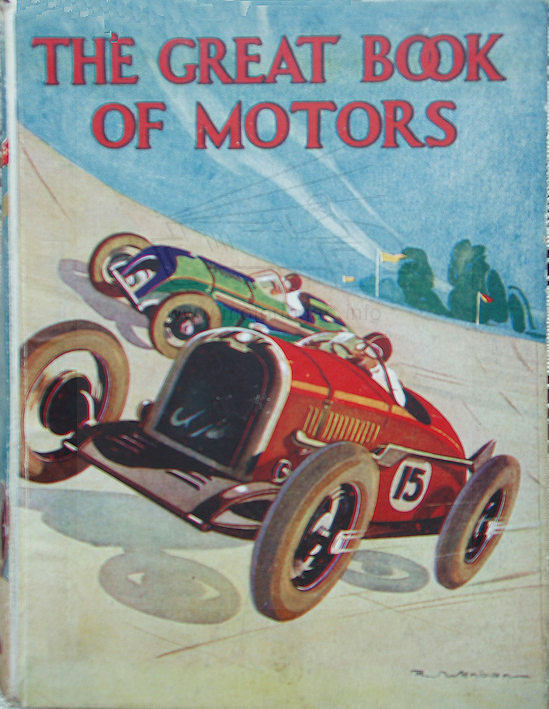 Book illustrator did some motoring art for children’s books. Following research by Stuart Middlemiss he found the reference to Wenban who was Australian and worked in the UK for a period of time before returning to Australia. --------------------------------------------------------------------------- Mid 20th century Sydney, Melbourne and London illustrator, painter and printmaker, Wenban studied art with Julian Ashton and Elioth Gruner. In 1954 he was one of 14 artists who contributed to a folio of prints which paid tribute to the miners in the Eureka Stockade. illustrator, painter and printmaker, was born in Mosman, Sydney, on 29 October 1893. He studied art with Julian Ashton and Elioth Gruner (1909-15), then joined up and served with the Australian Field Ambulance in France (1915-18) including being present at the Battle of the Somme. After his discharge, he worked as a commercial and newspaper illustrator in Melbourne. Encouraged by Harold Herbert , he also painted watercolours. At Will Dyson 's suggestion, he went to London in 1930 and drew illustrations for leading magazines and newspapers, including the Illustrated London News and Country Life , as well as for Oxford University Press. He studied at St Martin’s School of Art, and in Paris. Wenban returned to Australia in 1938 and continued to work as a commercial artist and book illustrator, including educational books. Most of his known originals are watercolours. During WWII he was chairman of the artists’ branch of the Civil Construction Corps (other artist members included Dobell and Joshua Smith ). In 1946 he was living in Sydney and still working as an illustrator. In 1954 he was one of the 10 artists of the 'Melbourne Popular Art Group’ who produced a folio of 14 linocuts, Eureka 1854-1954 (Melbourne 1954), which paid tribute to 'the stand of the Ballarat miners in the Eureka Stockade’ (copy Tasmanian Museum and Art Gallery).